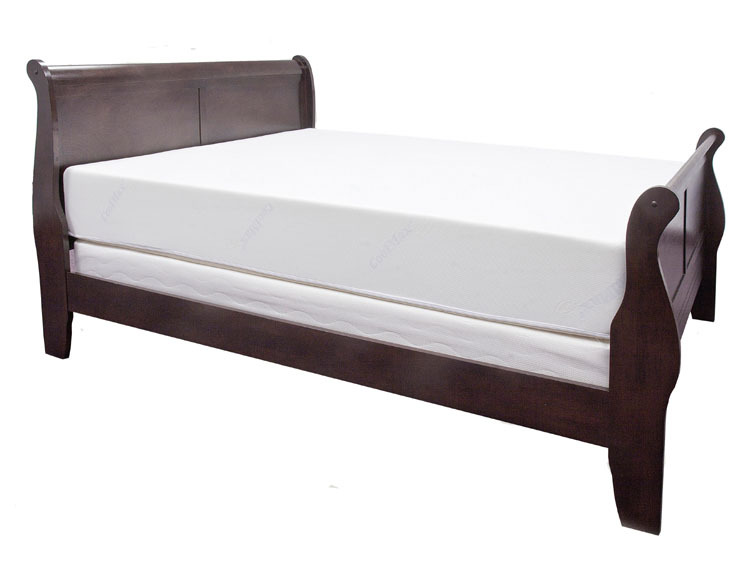 Memory Foam Mattresses: Why is Memory Foam so Comfortable? Time for a new mattress? Maybe you’re thinking about a memory foam mattress. You’ve heard they’re comfortable, but what’s all the hype? Why is a memory foam mattress so comfortable? A memory foam mattress is temperature sensitive. This means that it uses your body’s temperature to mold to the curves and contours of your unique body. (And your sleeping partner’s unique body too!) This reduces pressure points and the need to thrash around to get comfortable. Once you do change positions, the memory foam “remembers” its shape and then gently molds and conforms to your new sleeping position. The memory foam readjusts for every single position change you make, but you’ll make a lot fewer position changes with memory foam’s comfortable support. Does this mean a memory foam mattress is right for you? The only way to really find that out is to try one in your own home for an extended period (180 days or more). Make sure that you only buy from retailers who will give you a money-back guarantee if the mattress doesn’t work for you. Do not buy from a retailer that only offers a store credit or “comfort” guarantee (same thing as a store credit). If you buy without a money-back guarantee, you could be out a lot of money and still not have a mattress that works for you. At Healthy Foundations, we want you to be as informed about your mattress choices as possible. Check out our buyer’s guides for air beds, latex mattresses, and memory foam mattresses. Next Next post: Can You Use a Memory Foam Mattress Topper on a Sofa Bed?